If you are like me, your kids love Disney animated movies. 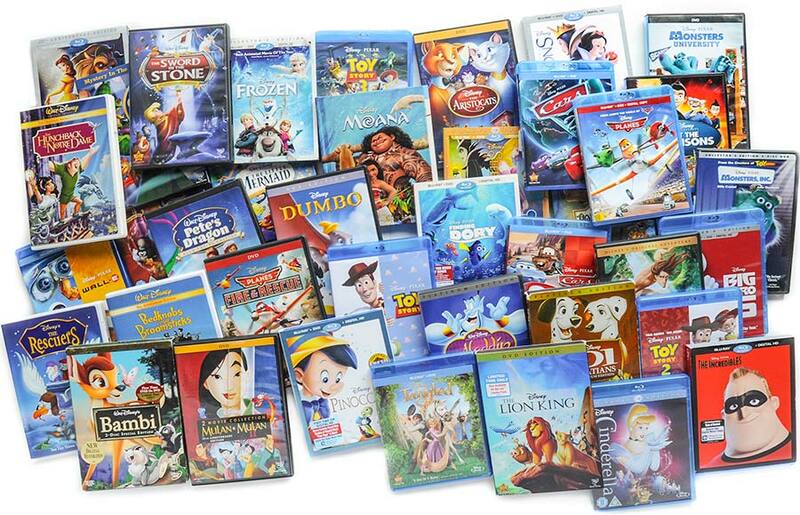 When my kids started getting old enough to watch them I was disappointed by how few of them I could find in stores and on streaming services especially the princess movies. It seems like the only way to make sure my kids can watch these movies is to purchase them myself. 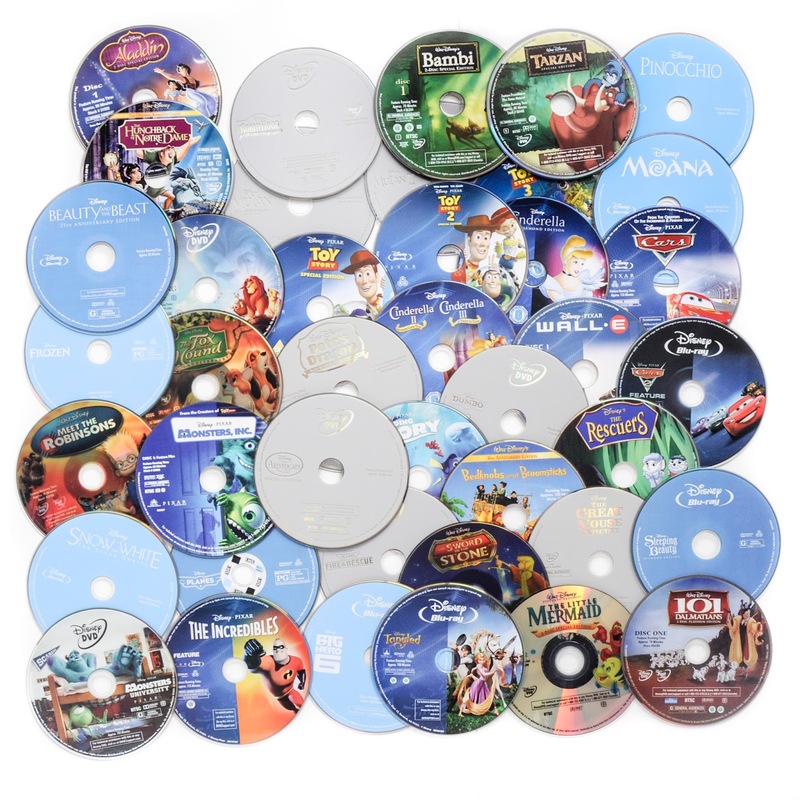 And with Disney keeping their movies in a "vault" it is hard to know what movies I already have when I am staring at them in the store or searching Amazon. I put together this list to keep track of all the movies that we have, and what type we have. I added Blue-ray and Digital HD, because it is nice to know if you can put it on your phone or tablet. Also if friends want to borrow a movie and they only have a certain player it is easy to know. One day I would love to turn this into an app. But I tried making apps once and realized I need an apple computer to do so, so until then here is the next best thing. You can print it out and keep it in your purse. Here is the printable version. Disney has a really cool feature for their Digital HD versions of movies. It is called Disney Anywhere. At first I was annoyed because I had to enter the Digital HD code to Disney Anywhere and not iTunes, but then once I played around with it, I realized it was really powerful. It connects all your accounts and will download the movies automatically to these accounts. It shares the movies to iTunes, Amazon Video, VUDU, Google Play, Microsoft, Fios by Verizon. I can download them to my phone, which is an iPhone and to my Kindle that is Amazon Video. If I just buy a regular movie on iTunes or Amazon Video it is not available on all platforms. This is super helpful with kids because you never know how they are going to watch the movie. Also I want to issue a warning and tip when buying Disney movies. If you want a Digital HD version, read the box carefully, not all copies of movies come with and HD version. I do not know why, it seems like it would be a give in now. I went to buy Cars or my boy and the Digital HD version was sooo much money. Next is the tip. 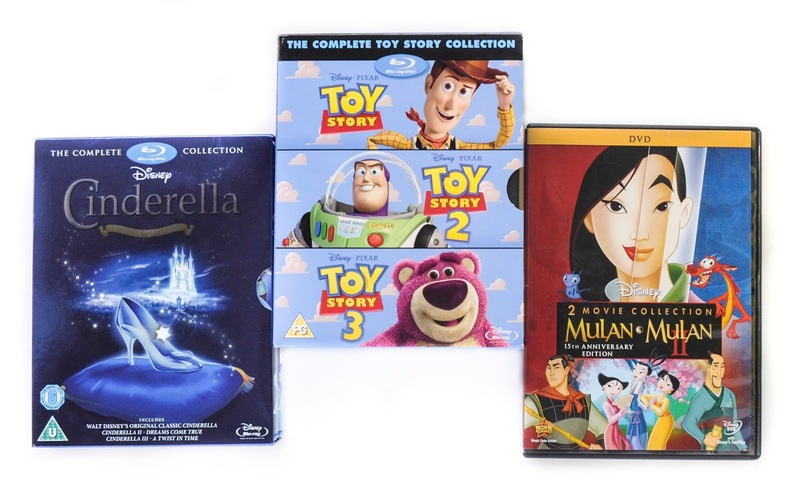 If you want to buy movies that have more than one video in the series, such as Cinderella, Cars, Planes, Toy Story and you have a Blue-ray player, look on Amazon or other sites. They can be a lot cheaper coming from other countries and usually come in a pack. I do not know why they do not sell these packs in the US. Many of the foreign versions of the film are compatible with Blue-ray players in the US. On the back of the box there will be hexagons with one or all of ABC's in there. If the video has all of these on the back you are good to go.